Southwest delight that is MOVE-IN READY, freshly painted, new roof, re-finished stucco, clean cute and ready for the new owner. Special touches to details from the inviting courtyard to the gecko floor in the entry surrounded by Southwest design tile leading into the great open living area with corner fireplace with custom stone finish. Specially custom made cabinets and pull out drawers compliments the chef delight style Kitchen with brand new steel appliances. Solid wood doors and frames add to the Southwest feel. 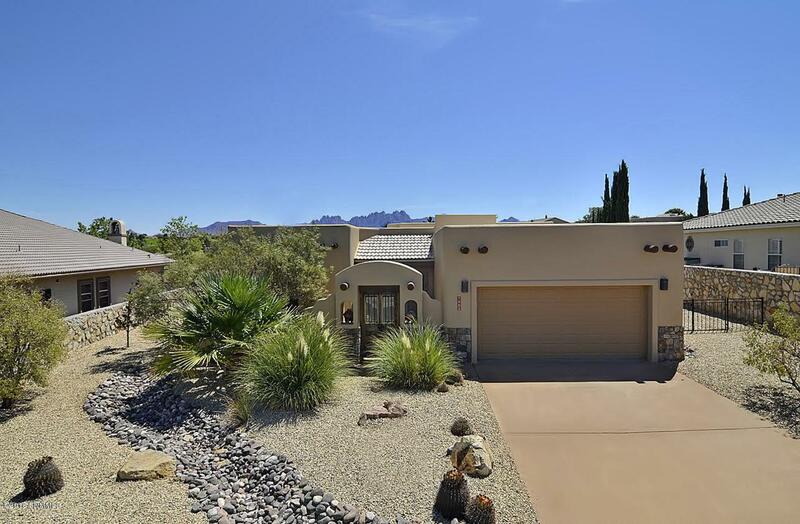 This beautiful Southwest home backs to Sonoma Ranch Golf course on the 7th tee. Enjoy watching the golfers from the privacy of your covered and tiled patio. Relax in the Japanese tea house style hot tub or a leisurely walk on the desert walking park. This home has a lot to offer. Listing provided courtesy of Eddy Way of Re/Max Classic Realty: (575) 524-8788. All listing information was provided by Southern New Mexico Multiple Listing Service.